The original ensemble is the large flute choir or orchestra (the terms are used interchangeably) that is known as DEFproject. It was founded in 2006 by music director Christina Steffen and has become a nationally recognized flute choir selected to perform at several National Flute Association Conventions, The San Francisco International Flute Festival, the renowned Musical Instrument Museum in Phoenix, and the 2018 International Low Flutes Festival. 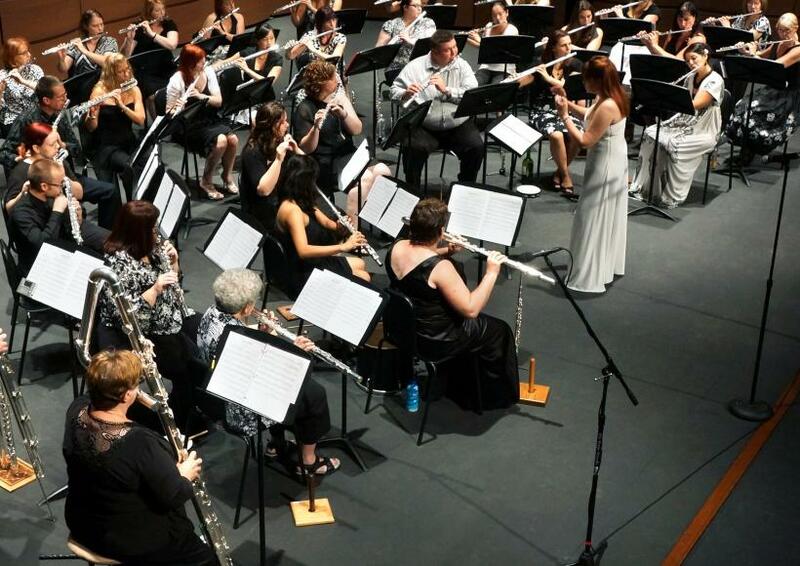 Members are selected through an audition process and include professional flutists, music educators, college students, and community musicians from the Phoenix metropolitan area.